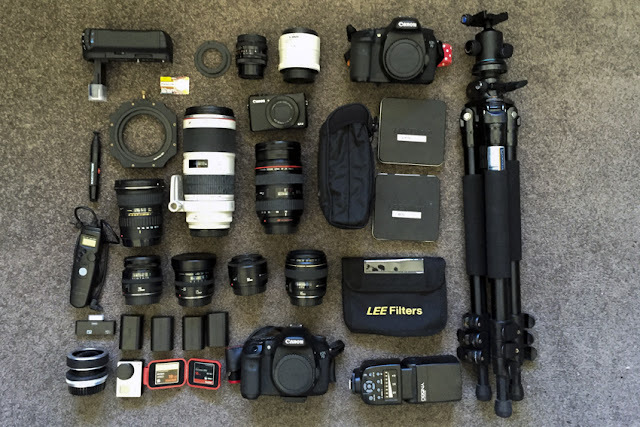 Here is a sneak peak into my landscape photography kit bag. 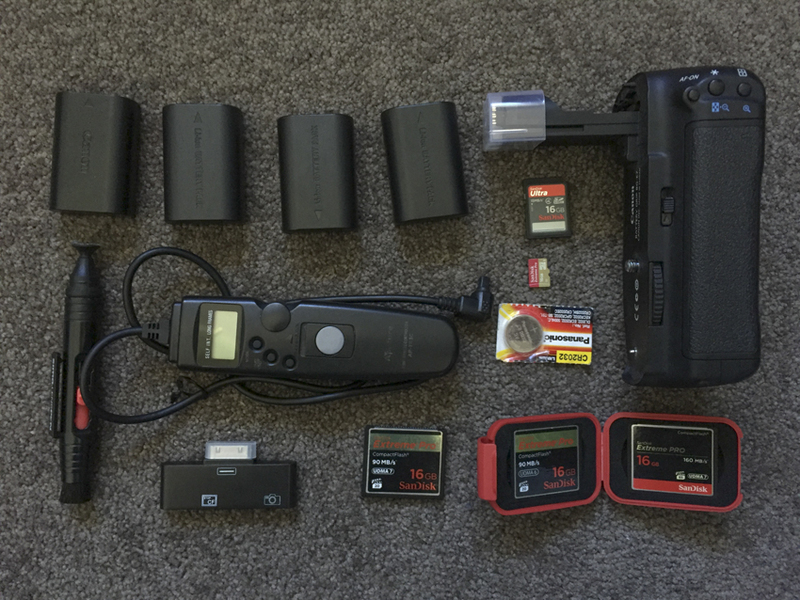 This is the full description of all of the equipment that I have. I usually like to travel light and plan my shoot so that I am not carrying tonnes of equipment. You can find out more about how I plan my post "Planning To Shoot Landscape Photography". Below you will find the breakdown of camera bodies, lenses, filters, tripods, memory cards and all of the other photography equipment that I use. 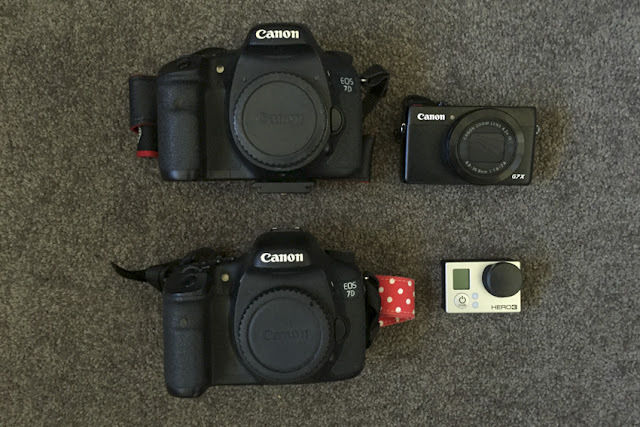 I currently own two Canon 7D bodies. I love these for both the video capabilities, frames per second shooting and their size. I also have a Canon 7GX and other various film cameras. The Canon 7GX is my go to camera when I just want something small and light that fits into my pocket. I also have a Go Pro. Where do I start with my lens collection. My go to lens for landscapes is the Tokina 11-16mm f2.8. The main reason is the price point for such a great wide angle lens with the ability to shoot at f2.8 in low light situations makes it so versatile. My other go to lens for landscapes is the Canon 24-70mm f2.8. This is another great lens in low light but gives the zooming options if you want the shot a bit tighter. 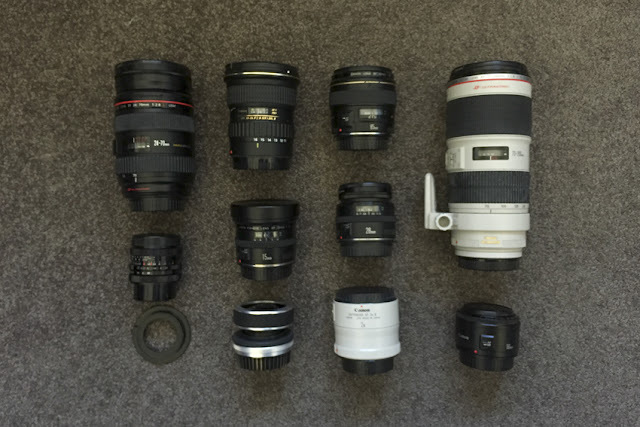 Other lenses in my collection include Canon 70-200mm f2.8, Canon 15mm Fisheye, Canon 50mm f1.8, Canon 28mm f2.8, Canon 85mm f1.8. I also have a collection of old manual focus lenses including a Prinz Galaxy 35mm f3.5 which I am really enjoying shooting with at the moment and an old school tilt shift lens. 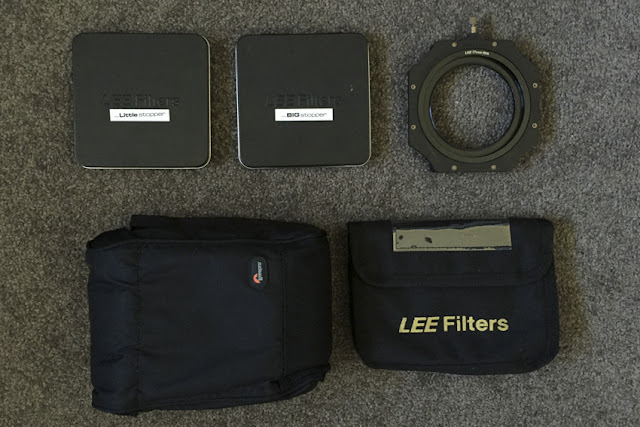 I have a vast number of filters, but my favourite are my Lee Filters. The Big Stopper and Little Stopper Neutral Density filters along with my graduated 0.9 ND filter are my three favourite. I have many other Neutral Density filters of various stops and polarising filters to cut down on glare. I always carry with me spare batteries and spare memory cards. You do not want to miss the shot because your battery runs out our your memory card fills up. Two of my most important pieces of equipment are my cleaning pen and my remote trigger. I shoot a lot of seascapes and the ocean tends to want to get salty water all over your lens. So I always carry with me this lens cleaning pen and two or three lens cloths. I carry a couple of cloths because once they get wet they tend to just push the water around on your lens and not remove it. The remote trigger goes hand in hand with the tripod for shooting long exposures like I tend to do. Plus this way you can keep your hands in your pockets in winter! Leave any questions or comments below. What do you have that I need to get?